The technique of classical ballet including barre, stretches, center and across the floor. 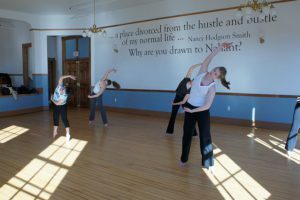 First introduction to ballet including barre, stretches, center and across the floor. Creative Dance included. A fun way to explore dance and movement. 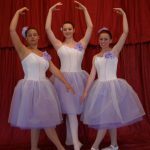 Class includes warm-up, stretches, motor skills (hop, jump, leap,skip, gallop etc), movement coordination, intro to dance technique, dance expression, imagination and games. This class moves the whole body. 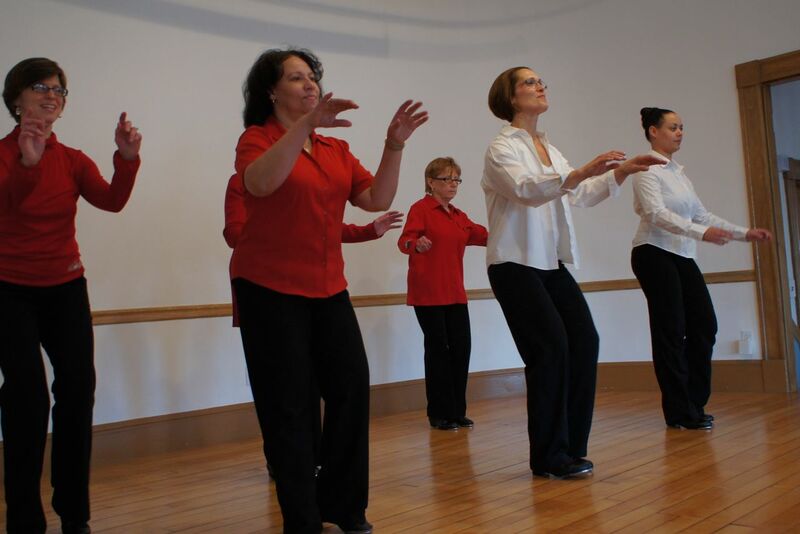 Class includes warm-up and basics in traditional modern dance, stretches, center and across the floor. Students learn choreography skills and create their own dance. Rhythmic and athletic movement to great music. Class includes warm-up, isolations, stretch, learn dance technique in Hip Hop with choreographed combinations of steps. Rhythmic movement to jazz, pop or musical theater music. Class includes warm-up, isolations, stretch, learn dance technique in jazz styles with choreographed combinations of steps. Jazz-inspired fitness for teens/adults: “Everybody Dance Now!” Come strut your stuff to the funky pop, oldies and classic rock songs that you love to listen to on the radio! A new choreographed routine is taught every 1-2 weeks, repetitive enough to pick up quickly and just have fun while you get in your cardio. More advanced ballet students prepare strength, technique and learn pointe. This class is a favorite to get in shape or stay in shape. Full body movement warms up the muscles. Mat work and hand weights strengthen and tone the different muscle groups with special attention to abdominals and legs. Stretching and relaxation are included. Both men and women benefit. Make great sounds and rhythms as you learn tap steps with increasing skill appropriate to level. Class includes choreographed combinations and across the floor. For children ages 1-3 with an adult. Children will be exposed to music, rhythm, dance, and stretching while singing their favorite songs: “Itsy Bitsy Spider,” “If You’re Happy and You Know It” and more! There will also be time set aside for free play, parachute play and bubbles! 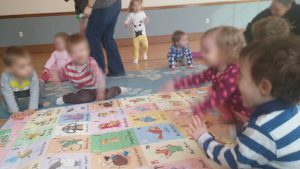 Bring your toddler for a great way to introduce them to movement and music. This active and fun class includes warm-up, stretching, motor skills (hop, jump, leap, galloping, etc), movement coordination, tumbling (bridges,somersaults,headstands, etc.) and games.